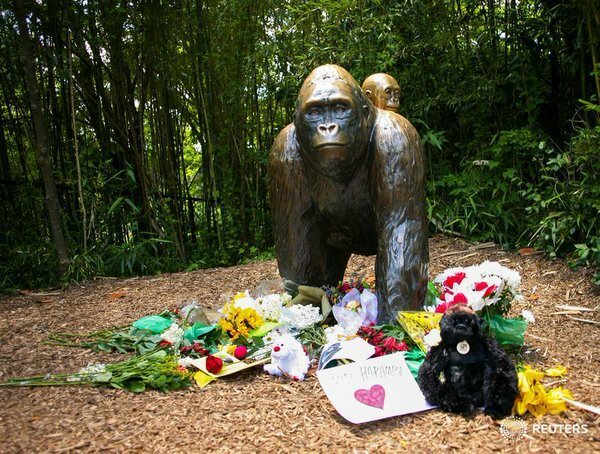 Police may be sue for criminal charges over a Cincinnati Zoo incident in which a gorilla was killed to rescue a 4-year-old boy who had fallen into its enclosure, a prosecutor said on Tuesday. The death of Harambe, a 450-pound (200-kg) gorilla, also prompted the animal rights group Stop Animal Exploitation Now to file a negligence complaint on Tuesday against the zoo with the US Department of Agriculture. The group is seeking the maximum penalty of $10,000. The group said in its complaint letter that the child's ability to get past the barrier was an evidence that the zoo has a negligent and should be fined for a "clear and fatal violation of the Animal Welfare Act. "Cincinnati police are taking a second look at possible criminal charges in the incident after initially saying no one was charged. There was no indication of whether the investigation would focus on the zoo or the child's parents. Zoo officials were not immediately available for comment on either the negligence complaint or the police investigation but said on Monday the exhibit was safe and exceeded required protocols. Gorilla World exhibit has been closed since the incident and will reopen on Saturday. The Gorilla World exhibit has been closed since the incident and will reopen on Saturday.